PJTC installed a new kitchen for me and I was very pleased with the quality of the installation and also the speed with which it was completed. Pavel and his team were very efficient and also very tidy at the end of each shift. After it was finished I had a couple of very minor comments and Pavel got his guys to come out the very next day to ensure I was completely satisfied. I would definitely use this company again for any future work. Quality building and kitchen fitting. Pavel and his team of joiners,plasterers,electrical,painters supply high quality kitchen fitting refurbishment and building work. Pavel and his team carried out a kitchen remodel for me which consisted of a kitchen wall removal and the installation of a steel beam opening up the kitchen to form a kitchen diner.All building work and the fitting of the kitchen was carried out to a very high standard with every stage carefully crafted creating an extremely useful space and a kitchen of very high quality finished to a very high standard. Pavel has a very high standard of workmanship and the finishing touches were exceptional.Carefully cleaning up my property on completion of the work they carried out. Despite issues with our suppliers, Pavel and his team were able to work around the problem to deliver an outstanding kitchen that we are delighted with. Pavel and his team installed our new kitchen and new living room flooring. Pavel responded quickly to our request for quotation. The team were very diligent, flexible and responsive. They take great pride in the quality of their work. Our kitchen and living room is quirky with lots of angles so not an easy job to undertake and we are delighted with the quality of the finish. 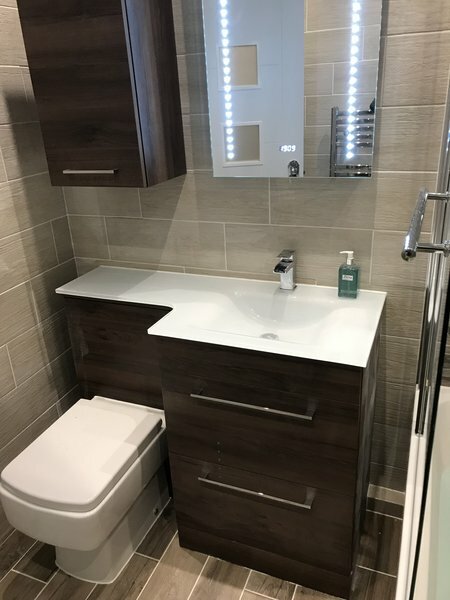 Pavel and his team refit my bathroom, I am very happy with the high quality of work. It (unavoidably) took slightly longer than expected due to weather and my uneven floor but I was kept updated the whole way through. All very reasonably priced too! Pavel carried out a lot of work in my home. 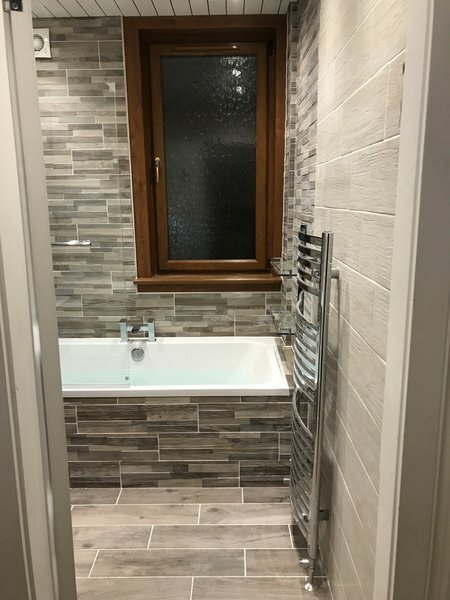 I initially asked him to install my bathroom and I was so impressed I asked him to tile the bathroom and kitchen, install wooden flooring, skirting and facings and a boutique wooden wall. Then I asked him to put up two PVC ceilings with spotlights. Pavel took his time and cared about the finished look. All of the work was finished to a high standard and as a result my flat looks fantastic. He was able to fix issues with the pipes (old building) and re-position my sink and toilet. He also moved pipes into the wall where they had previously been on display and unsightly. I would recommend PJTC as Pavel is very skilled in lots of different trades. He was friendly and approachable, offering advice on the best places to buy materials, sometimes even picking things up in his van. What I like most about him is that he cared about the work and did not rush the job. Pavel completed our kitchen installation to a very high standard, we are delighted with the end product and would highly recommend him to friends and family. You will not be disappointed with the work he undertakes. 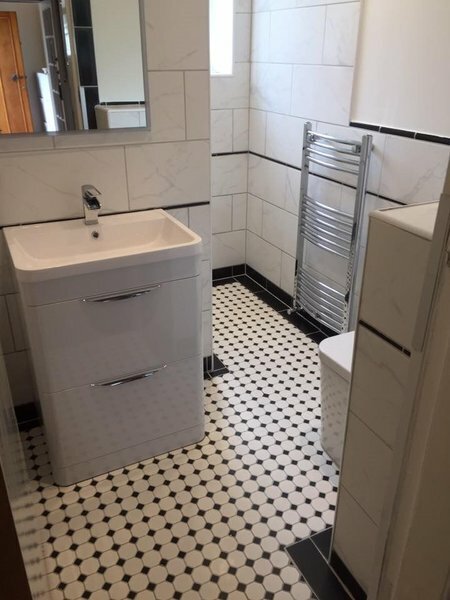 PJTC did a large amount of work on our top floor tenement including a bathroom and kitchen renovation and new flooring laid throughout the house. With our flat being so old, it threw up a lot of problems which meant the job took longer than expected but Pavel dealt with all the problems that arose. The quality of the work done was of a very high standard. Pavel is a perfectionist and clearly has a huge amount of pride in his work. We went away for more than a fortnight whilst the work was being done and Pavel kept us regularly up to date with pictures. He was always pleasant to deal with and we felt comfortable having him in our home. Would highly recommend and I'd be happy to have him to do work again. Pavel replied almost immediately to my request for a quote and visited my flat the same day. His quote was comprehensive, covering all the work required. 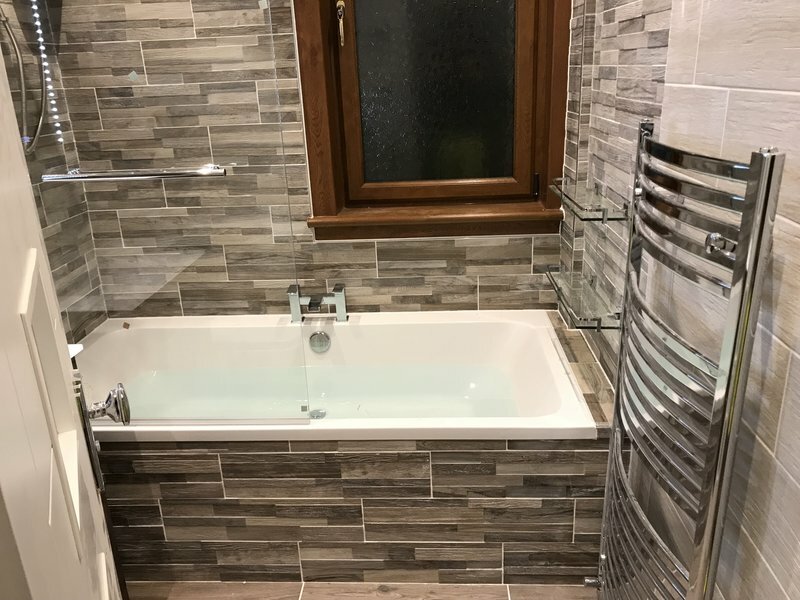 He made excellent suggestions as to the type of shower and screen which could be fitted over my bath, sending me the details by email so I could consider them alongside alternatives, and searched extensively for tiles which would match up with the existing bathroom tiling. This was extremely helpful as I would have been unlikely to identify such good possibilities if I had been searching myself. The work was carried out on agreed dates, took the length of time estimated, and without any disruption or mess being left behind. I was very impressed with the quality of Pavel's work and would recommend him without any hesitation.